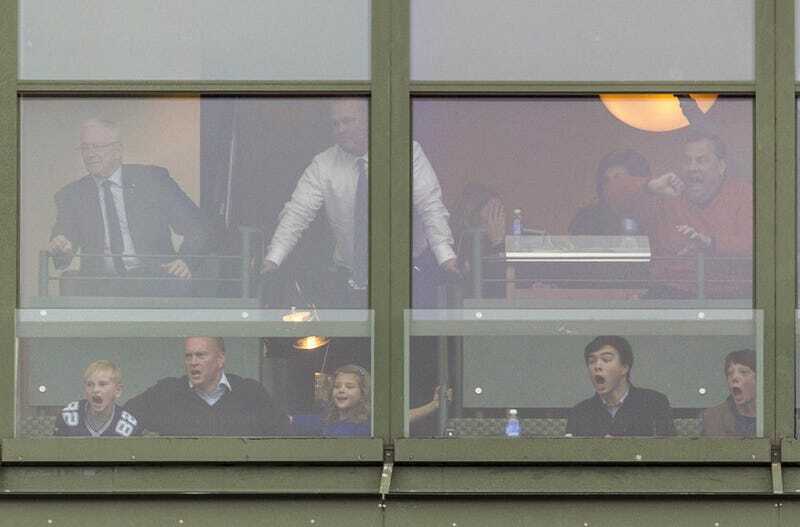 Though FOX didn't give us the Chris Christie reaction shots we desired for the Cowboys-Packers game, stringer Andy Manis snapped a photo for NJ.com of Jerry Jones's suite at Lambeau Field, reportedly as Dez Bryant made his fourth-down catch (that was overturned after review). Christie, in the upper-right, looks absolutely giddy. The lower row featured some perfect faces, too. With the Dallas loss, Christie says he can now clean that ostentatious sweater. Eventually.